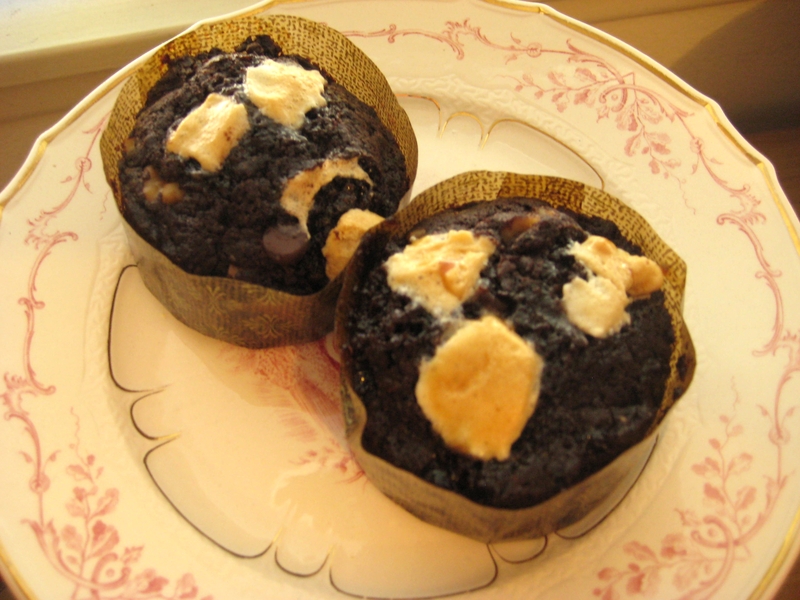 One of the breakfast items we sell at work is Rocky Road muffins, a take on the American ice cream flavour by the same name; chocolate ice cream loaded with chunks of walnuts and frozen marshmallow. Obviously, I was intrigued by the concept. For the last few days I”ve been sick with a nasty cold (and still am, unfortunately), and honestly at that point anything with chocolate sounded amazing. Preheat oven to 350F. In a bowl of a stand mixer, whisk together flour, cocoa powder, salt, baking powder, and sugar until there are no lumps. In another bowl whisk together eggs, oil, buttermilk, and vanilla extract. With mixer running on low, slowly stream in wet ingredients into dry ingredients. Mix just until everything is combined. With a rubber spatula, fold in chocolate chips, walnuts, and mini marshmallows until combined. Divide batter between lined muffin molds, filling molds 3/4 full. 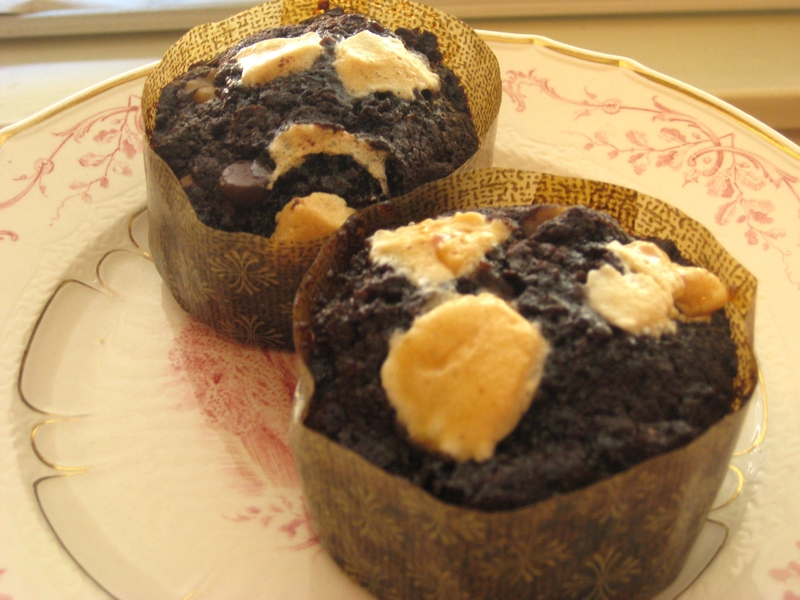 Top each muffin with 3 or 4 mini marshmallows. Bake 350F for 20-22 minutes, then let cool completely in pans before removing and storing.